Animal behavior expert witness, Richard Polsky, Ph.D. obtained his doctorate in animal behavior from the University of Leicester in 1975. Dr. Polsky chose the University of Leicester for his doctoral studies because of the excellent faculty in animal behavior, and because the Univ. of Leicester’s doctoral program, unlike doctoral programs in the United States, emphasized a European approach to the scientific study of animal behavior. The University of Leicester is ranked as one of the top 200 universities in the world. Dr. Polsky was mentored by Prof. Waldek Sluckin during his doctoral studies at Leicester (1970- 1975). After the completion of his doctoral studies, he spent two years (1974-1976) as a research associate in animal behavior at the University of Birmingham in England, where he worked closely with the esteemed primatologist, Prof. Michael Chance. Immediately thereafter, he returned to the United States as a post-doctoral fellow and research associate in the Brain Research Institute at UCLA. At UCLA, he engaged himself in full-time research in animal behavior for five years (1976-1981). He worked closely with sociobiologist, Prof. Michael McGuire. After 11 years in academics, Dr. Polsky phased-out a career in academics to pursue a career in the private sector as an applied animal behaviorist. He was one of the first with a Ph.D. in animal behavior to open a clinical practice in the United States. His office opened in Santa Monica, California in 1981. At that time he limited his work to dogs. He expanded the practice to include cats in 1984. Shortly thereafter, he moved his office to the Rancho Park section of Los Angeles, where he has remained for the last 34 years. 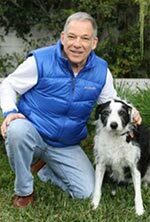 Dr. Polsky has helped thousands of dog and cats owners solve a wide variety of behavioral problems, ranging from territorial and dominance aggression in dogs to litter box problems and compulsive disorders in cats. In 1985, he started his Head Start Puppy Training Classes which he taught continuously and without interruption for 25 consecutive years. The dog training classes functioned to train owners to train their puppies with scientifically proven techniques. Dr. Polsky has counseled owners and their dogs and cats on over 10,000 occasions. He has evaluated hundreds of dogs in accordance with the criteria set forth by the American Kennel Club’s, CGC testing program. Dr. Polsky has been retained by dog bite attorneys as an animal behavior expert witness in both criminal and civil matters on over 300 occasions. He has been deposed on at least 100 occasions and has appeared as an expert witness at trial on over 50 occasions. His expert witness work is equally split between defense and plaintiff. He served as the expert for the defense in the most publicized dog bite case in United States history: the San Francisco dog mauling. Moreover, Dr. Polsky has successfully met Kelly-Frey and Dalbert challenges at trial. Click here for testimonials from attorney clients. Click here for Dr. Polsky’s Curriculum Vitae. Dr. Polsky is the author of many peer-reviewed publications. Currently certified through the International Association of Animal Behavior Consultants. He has been an invited speaker to law firms representing insurance carriers defending dog bite lawsuits. Moreover, he has led seminars for canine professionals. Finally, he has been a speaker on many occasions to veterinary associations about dog aggression and canine behavioral modification. Dr. Polsky has a strong interest in keeping abreast of the current scientific literature in animal behavior for the purpose of applying these findings as an animal behavior expert witness to issues about liability in dog bite litigation. His research, conducted in different parts of the USA, focuses on the study of shelter dogs, field observations of dog behavior in public settings and the public perception of pit bull terriers. 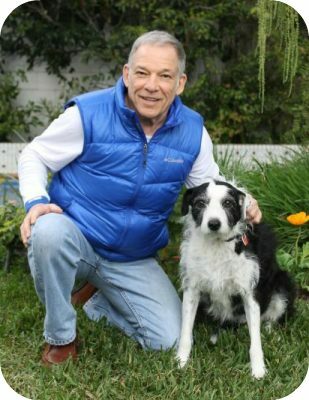 Dr. Polsky lives in Los Angeles with his human family and several trustworthy and loyal canines, a border collie mix named Swoozy and a terrier mix, Mojo.